Wilfred D. Samuels received his B.A. degree in English and Black Studies from the University of California at Riverside; and he received his M.A. and Ph.D. degrees in American Studies and African American Studies from the University of Iowa. Dr. Samuels is currently an associate professor of English and Ethnic Studies at the University of Utah, and the former director of its African American Studies Program and Coordinator of the Ethnic Studies Program. In addition to holding Visiting Professorships at the University of California at Los Angeles (UCLA) and the University of Pennsylvania, Dr. Samuels has also taught at the University of Colorado at Boulder and at Prairie View A & M University in Texas. He has lectured in England, Africa, Japan, and throughout Southeast Asia. He is the founding president of the African American Literature and Culture Society, which he headed for six years. 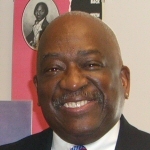 Dr. Samuels is a well published scholar who has written on the 18th century slave narrative of Olaudah Equiano and on several twentieth century African American writers, including Claude McKay, James Baldwin, Toni Morrison, and John Edgar Wideman. His Encyclopedia of African American Literature (New York: Facts on File, 2007) was published this summer. A former Ford Foundation Post Doctoral Fellow, Dr. Samuels is the recipient of several awards including the University of Utah’s Distinguished Teaching Award and the College of Humanity’s Ramona Cannon Award for Teaching Excellence.